I brougt my 6 years old daughter to the school a month ago. There we met Feliks, our instructor in cello. He is patient, kind, and knows how to deal with little ones. If you're looking for an excellent teacher - there he is! He brings all his great knowledge and experience to class to share love for music with his student. Feliks is an outstanding teacher. He really loves music and instills love of music in the kids he teaches. 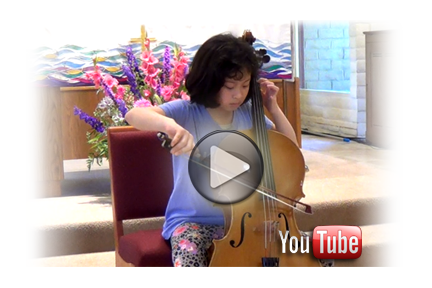 My daughter is 10 and has been learning cello with Feliks for the past 1 year. She loves him and loves the cello, thanks to Feliks. He doesn't look at the watch and teach. He works very hard with her. He inspires her to go above and beyond average. We are very grateful to have Feliks as our daughter's teacher. I wish him and the Russian School of Music all the best in the future. My son has made so much progress during the short time he's been taking cello lessons here. Feliks is a wonderful teacher. He has so much patience and has made my son feel comfortable. My son is so impressed with how much he has already learned from Feliks. We are so happy we found the school. Feliks Volozhanin is a Director of String Program at Russian School of Music Irvine, performing cello player and cello teacher in Irvine, Orange County. He loves and truly enjoys teaching having over twenty years of teaching experience both in Russia and in the US. Feliks' students have the highest succsess rate of auditioning to Irvine Honor Orchestra: 1/3rd of 2017 Irvine Elementary Honor Orchestra cello section are his students. His teaching philosophy is to nurture and forster students' creativity, passion, and love for music sharing what he learned from a great Russian cello school: superb technique and expressive musical interpretation. Feliks' students successfully compete at various competitions and are members of different orchestras including Pacific Symphony Youth Orchestra, All Southern California Elementary Honor and Irvine Honor Orchestras, and Orange County Youth Symphony. Feliks began studying cello at the age of seven. At the age of twelve he became a laureate of Chelyabinsk State Youth Cello Competition and continued his studies at State Institute of Music in Moscow, Russia where he studied with esteemed cellists Kirill Rodin, Tchaikovsky Competition Gold Medalist and professor of Moscow State Conservatory.. Since moving to the United States, Mr. Volozhanin has won first prizes in many contests including the Elizabeth Harper Vaughn, the Rapides Symphony and the SLU Concerto Competitions, studying at Southeastern Louisiana University with Karen Jung. Feliks was a teaching assistant of professor Bongshin Ko at Cal State Fullerton and also served as a principal cellist of Cal State Fullerton Symphony and Cal State Fullerton Cello Choir. Mr. Volozhanin has successfully performed as a recitalist, chamber musician and soloist with orchestras on two continents; his recent engagements include solos with the Rapides Symphony, the Symphony of the Mountains and the SLU Chamber Orchestra. Volozhanin’s performances have been broadcast on television in the United States as well as in Russia. Feliks Volozhanin's artistry is based on the deep understanding of musical fabric combined with truly individual approach of each piece. His goal is to deliver the highest quality music to audiences and high standards of instruction to students from all walks of life worldwide . Mr. Volozhanin loves and truly enjoys teaching having over ten years of experience both in Russia and in the US. 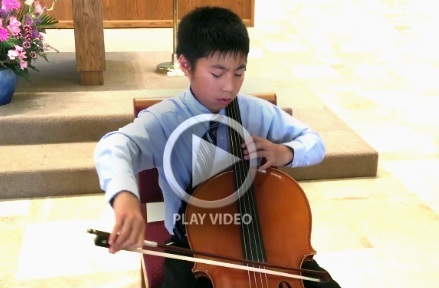 His teaching philosophy is to share what he learned from a great Russian cello school: superb technique and expressive musical interpretation.